Dr. Andrew Robinson has been with our CTMH | Doctors Hospital family for almost a decade in the capacity of General Practitioner. He is originally from Jamaica, whereby he completed his MBBS. and BBMedSci. degrees from the University of the West Indies, as well as receiving training at the Spanish Town Hospital prior to arriving in the Cayman Islands in 2008. 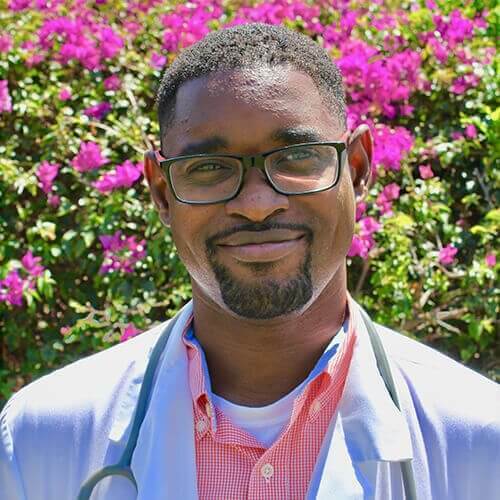 Dr. Robinson enjoys the opportunity to practice medicine in Grand Cayman, and his scope of experience allows him to care for patients in both paediatric and adult medicine, treating chronic illnesses, offering wellness checks, executive medicals, work permit medicals, gynaecological assessments, and urgent care when necessary. Dr. Robinson can be reached at CTMH | Doctors Hospital at 345.949.6066.